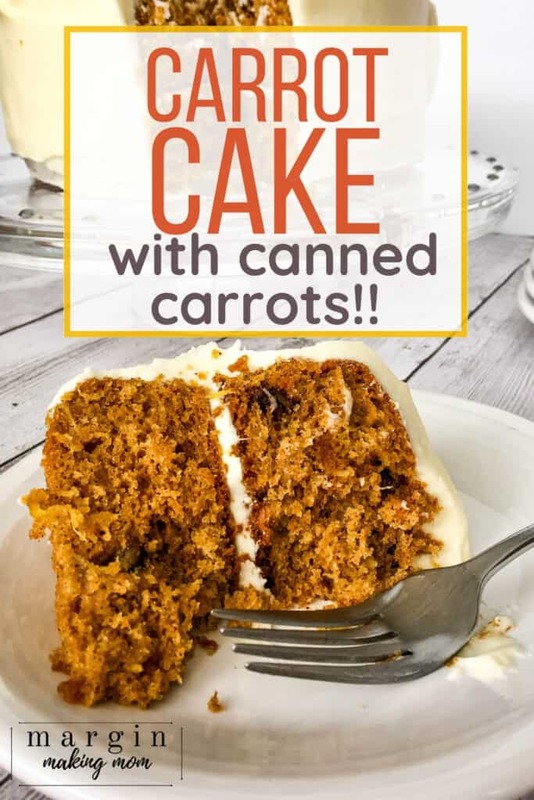 Making a carrot cake with canned carrots saves the prep time of shredding carrots yourself, resulting in a moist and fluffy cake without a lot of effort! 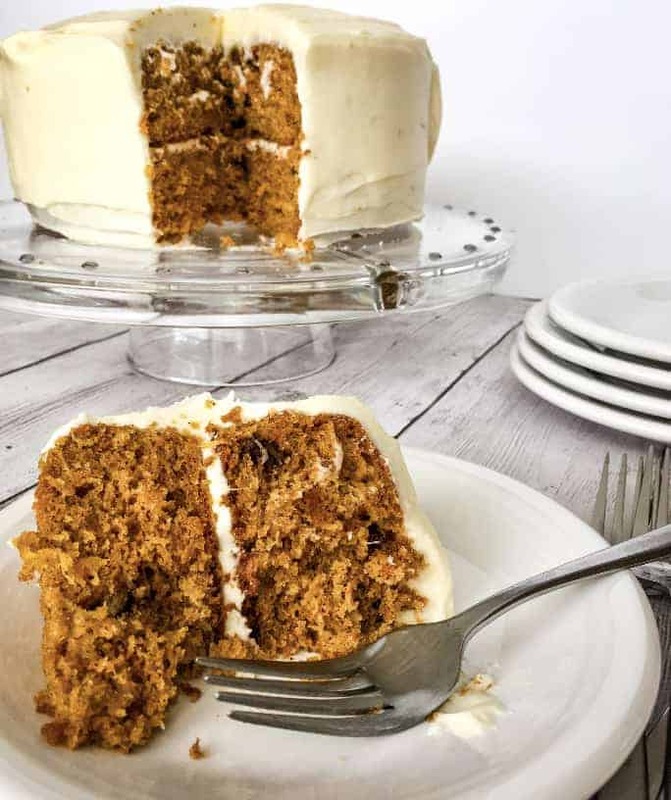 Once you see just how easy it is to make this old fashioned canned carrot cake, you’ll make it this way all the time! The addition of pineapple and an amazing cream cheese frosting take it over the top! I almost always make my own birthday cake. Strange, I know, but true. I believe birthdays should be special, and we should do our best to make the honoree feel special on their birthday. This doesn’t have to be a big ordeal, but just little ways to celebrate someone throughout the day. So to some people, I suppose my choice to make my own birthday cake is a little unconventional. Shouldn’t someone else make my cake, or at the very least, buy me a cupcake or two? But because baking is something I actually love to do, it’s sort of like my gift to myself. I don’t make layer cakes very often, so birthdays are a great excuse to do that. This year, I decided I wanted to bake a carrot cake for myself. Typically, I make something chocolatey, because chocolate is my go-to. But I do love a good carrot cake. I just hardly ever make carrot cake, because–let’s be honest–shredding carrots is a bit of a drag. Shredding them by hand takes too much time and puts your knuckles at risk. Popping them in the food processor for shredding makes quick work of the process but leaves you with more dishes to wash.
“Shredded” carrots I’ve seen in the stores are usually matchstick or julienne carrots, which isn’t really the same thing. I don’t need big chunks of carrots in my cake, thankyouverymuch. 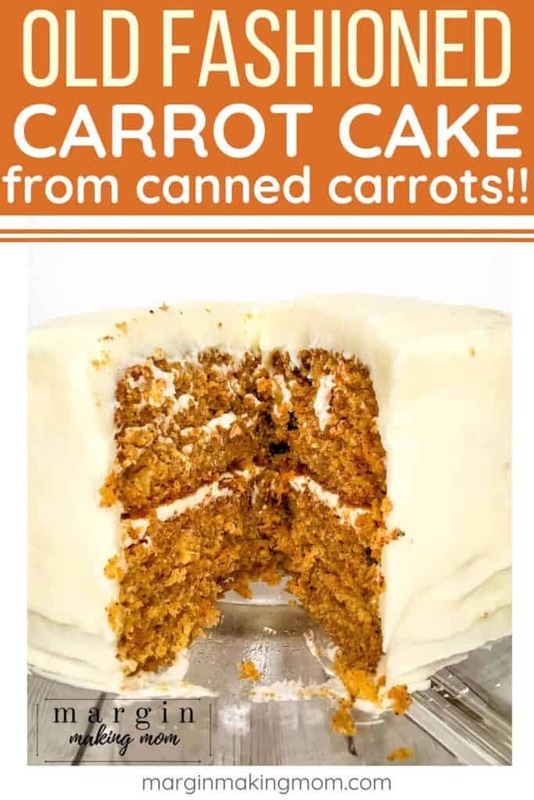 Well, my friend, all of our carrot cake woes have been solved with this little hack I discovered–making a carrot cake using canned carrots! I had some cans of carrots that have lived in my pantry for months now–a neighbor gave them to me when she was cleaning out her pantry, and I kept thinking I’d find a use for them, but I hadn’t yet. So, my birthday cake seemed like the perfect time to put those cans to work. Sure enough, using canned carrots was JUST the ticket! 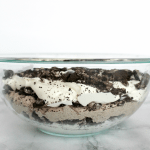 It made the cake making process so much simpler! 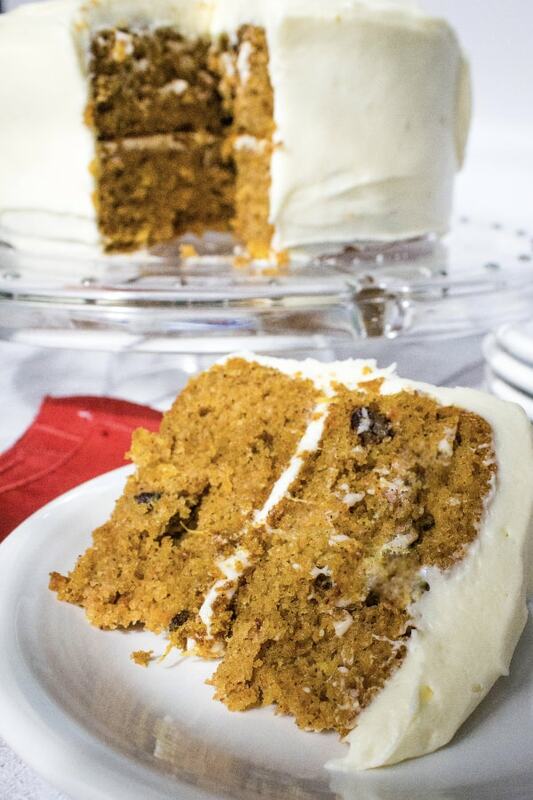 Follow these steps to make a decadent carrot cake using canned carrots! In a large mixing bowl, combine the drained carrots with some vegetable oil, sugar, and eggs. I used an immersion blender to blend this all together and puree the carrots into the mixture well. 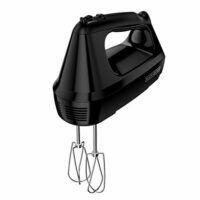 You could also use a stand mixer or handheld mixer to get everything combined well. 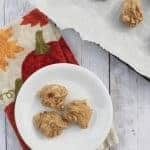 The main thing is that you want the carrots to be blended or chopped up as much as possible so there aren’t big chunks of carrots floating around. In a medium mixing bowl, combine flour, baking powder, baking soda, and cinnamon. Gradually add the dry ingredients to the wet ingredients, using an electric mixer or stand mixer to combine everything well. Last, add in the drained pineapple and nuts, if using, and stir to combine. 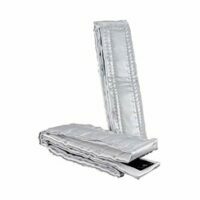 Grease and flour two 8″ or 9″ round cake pans or a 9×13″ pan. Bake at 350F for about 25-35 minutes, or until a toothpick inserted in the center comes out clean. After the cake has cooled, assemble and frost with delightful cream cheese frosting! Cake layers often tend to “dome” in the center, making them difficult to stack. One solution to this is to use a sharp knife to cut off the domed part, resulting in a flat layer. This always made me sad to waste that extra cake! My favorite solution is to use these baking strips around the sides of the pan, which prevents the layers from doming. They come out nice and flat and ready to stack! Pineapple and nuts are optional. I like the addition of canned pineapple and some chopped pecans or walnuts, but if you are particularly averse to either, just leave them out! Switch up the add-ins. 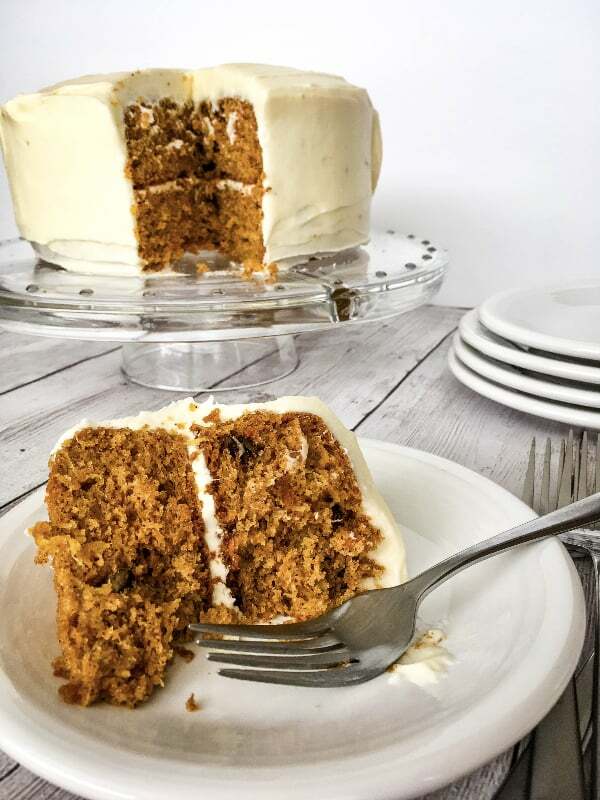 I know some people like to put raisins or shredded coconut in their carrot cake–you do you! Make cupcakes. 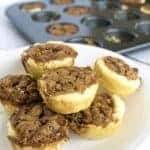 You can also make these as cupcakes if you prefer–you should be able to get about two dozen cupcakes from this recipe. Freeze the cake. You can freeze unfrosted cake by wrapping tightly with plastic wrap. If you are making this cake in layers, one of the easiest tips for frosting a cake is to freeze the layers first. I just wrap each cooled layer in plastic wrap, then pop them in the freezer until they’re frozen. Remove and unwrap the layers when you’re ready to frost them, and this helps to drastically reduce the crumbs (and reduce the need for a “crumb coat” of frosting). I know it seems strange, but the cake is firmer when it’s frozen, which makes it easier to work with. Obviously, this isn’t necessary, so if you don’t have time to freezer the layers, just frost as usual! 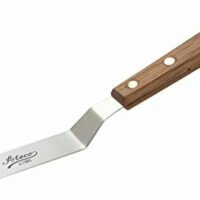 I like to use an offset spatula to make it easier to frost the cake. You can also pipe a pretty design on it if you want. 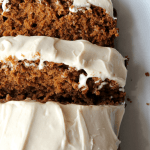 I personally think cream cheese frosting and carrot cake were meant to be together–a match made in heaven. 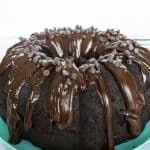 But, if you don’t like cream cheese frosting or can’t have it for whatever reason, know that there are plenty of other options you can choose from! Preheat oven to 350F. 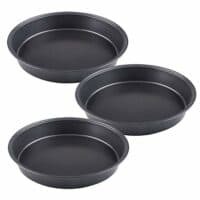 Grease and flour two 8" or 9" round baking pans or a 9x13" pan. In a large mixing bowl (or in the bowl of a stand mixer), combine canned carrots, vegetable oil, sugar, and eggs. 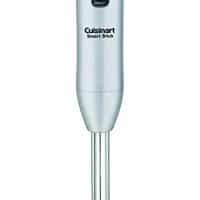 Mix well using an immersion blender or an electric mixer. You want to blend it to the point that there are no chunks of carrots floating around (or only very small pieces). In a separate mixing bowl, combine flour, baking powder, baking soda, and cinnamon. Gradually add dry ingredients to the wet ingredients, mixing well to combine. Add crushed pineapple and chopped pecans and stir to combine. Pour batter into prepared pans and transfer to preheated oven. 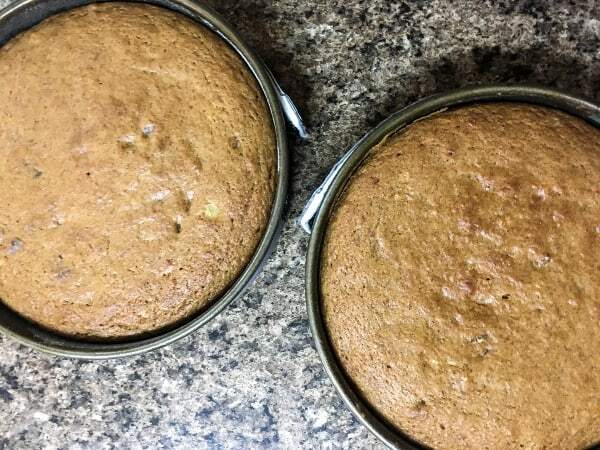 Bake for 25-35 minutes or until a toothpick inserted in the center of the cake comes out clean. While cakes are cooling, prepare frosting. To a large mixing bowl or the bowl of a stand mixer, add cream cheese, butter, and powdered sugar. Use the mixer to beat the ingredients together at medium-high speed for about 3 minutes. Add in vanilla and heavy cream and beat at high speed for about 3-5 minutes, until frosting is light and fluffy. Switch up the add-ins. I know some people like to put raisins or shredded coconut in their carrot cake--you do you! Make cupcakes. 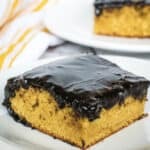 You can also make these as cupcakes if you prefer--you should be able to get about two dozen cupcakes from this recipe. Freeze the cake. You can freeze unfrosted cake by wrapping tightly with plastic wrap. Freezing the layers also makes it easier to frost, as the layers are firmer. This is a totally optional step, but it prevents a lot of crumbs from loosening when you are spreading the frosting!